Note. First two pics are via General Dynamics Electric Boat Instagram Page. 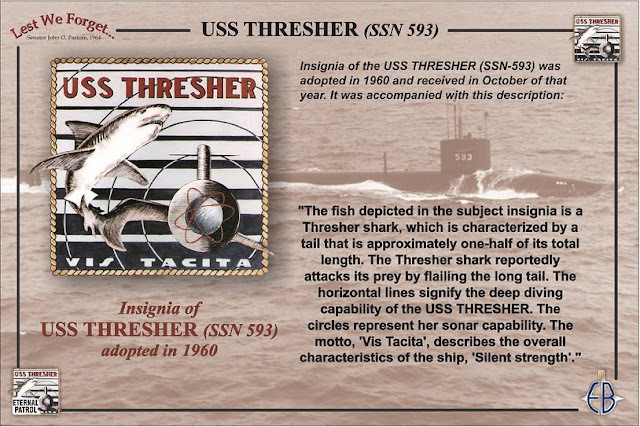 On the morning of April 10, 1963 at approximately 9:18 am, following three distress transmissions, the USS Thresher was lost with all 129 crew and civilian riders. The ship designers and builders of Electric Boat are the first line of defense for our sailors. Every day we must use a questioning attitude, challenge complacency, and ensure arrogance does not compromise our ability to provide maximum reasonable assurance. No metric is more important than this one: the number of submergences must equal the number surfaces at the end of a submarine's life. 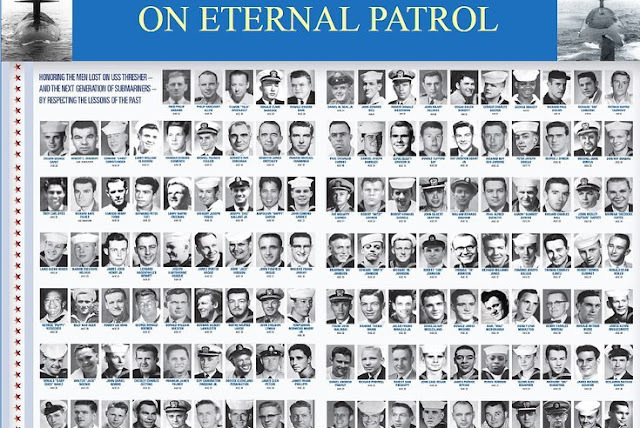 Much like an equal number of airplane takeoffs and landings, this metric ensures over 120 sailors per ship return home safely to their families and loved ones. 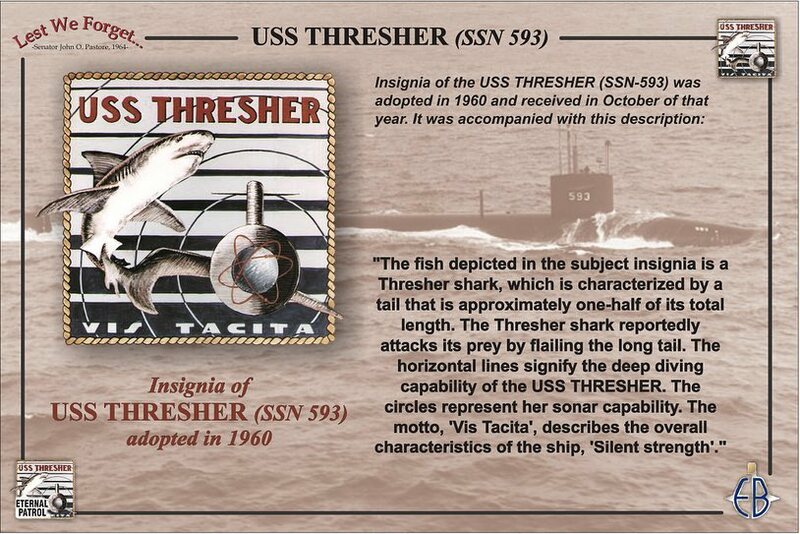 The USS Thresher serves as our symbol, our tragic reminder of this great responsibility. Today, we are all challenged with the duty to keep this event alive as a never fading reminder of the importance of the quality and rigor we apply to our jobs, and to be aware of "why we do what we do" at Electric Boat. Note. 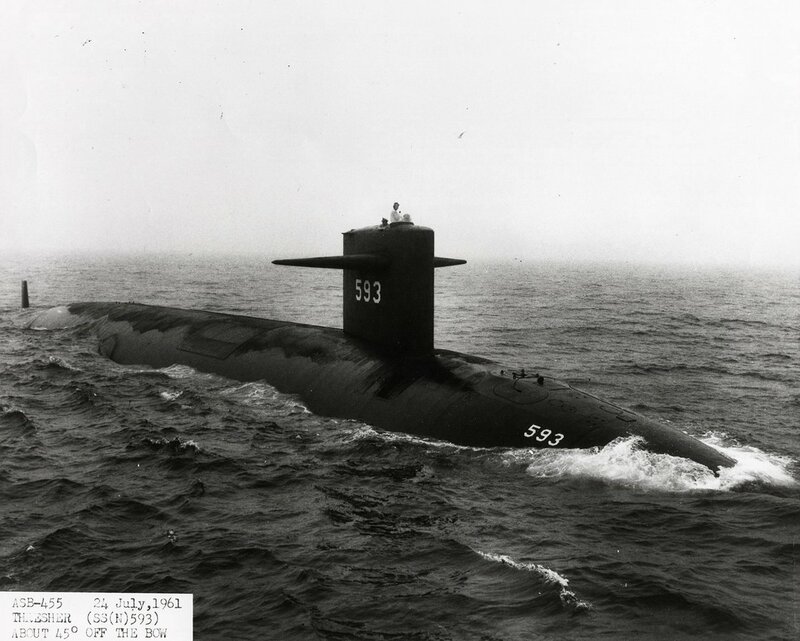 The follow pic is from the Naval Undersea Museum Twitter Page (they also have profiles of some of the crew).